Women should be allowed to push for at least two hours if they’ve given birth before, three hours if they are first-time mothers, and even longer in certain cases, such as when an epidural is used for pain relief. Vaginal delivery is the preferred option whenever possible and doctors should use techniques — forceps, for example — to assist with natural birth. Women should be advised to avoid excessive weight gain during pregnancy. A word of caution should be offered about these recommendations: forceps deliveries are becoming a lost art and can cause more damage than good in the hands of an inexperienced provider and the “avoid excessive weight gain during pregnancy” is easier said than done for most women. That being said, these new recommendations give first-time pregnant women the right to step on the proverbial brakes, the next time someone wants to rush their delivery via a C-section. 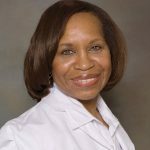 Dr. Linda Burke-Galloway is a board-certified ob-gyn physician with 30 years of clinical experience, author of a prenatal book and blogger who is passionate about teaching people how to understand their health conditions in order to obtain the best treatment possible. She is an alumnus of City College of New York, Columbia University School of Social Work and Boston University School of Medicine. In addition, she’s earned a certificate in Clinical Informatics at the Johns Hopkins School of Medicine. She is also a proud mother of two amazing sons and an international adoption advocate. Originally from Brooklyn, N.Y., she presently lives in Florida.